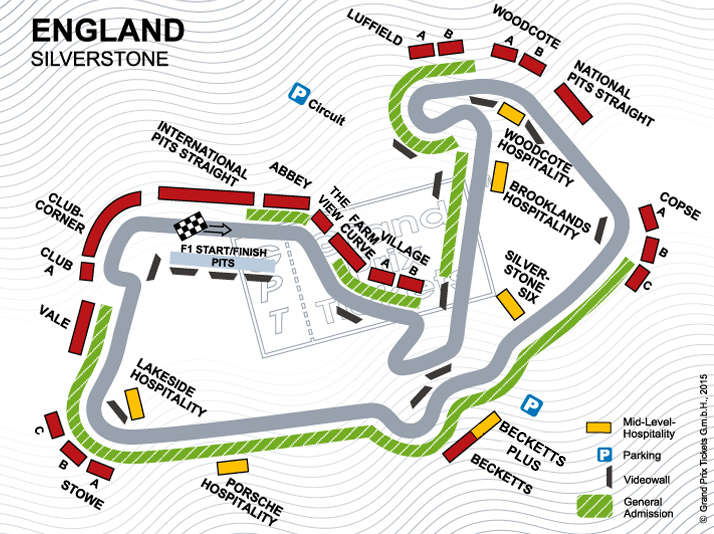 The Silverstone Circuit was built on the area of a former British Air Force Base. 1950 the very first Formula 1 World Championship race was held at Silverstone. The curve combinations and especially the sometimes very fast turns pose a challenge for the drivers. The typical British weather (rain and gusts of wind) adds to the challenge. The circuit was modernised in 2010, and the new futuristic press centre came into existence as part of these upgrades. Many of the teams have their factories in the surroundings of Silverstone, giving the area the name “Formula 1 Valley”.